Equip yourself with the necessary knowledge and business strategies to navigate moving to the Microsoft Azure Cloud. Can the same service levels and scalability still be obtained? Will licensing costs for my solution increase? Will my Oracle implementation still be supported, and can we obtain relevant patches? This white paper aims to provide organisations moving to the Microsoft Azure cloud with the necessary knowledge and business strategies to navigate these issues. 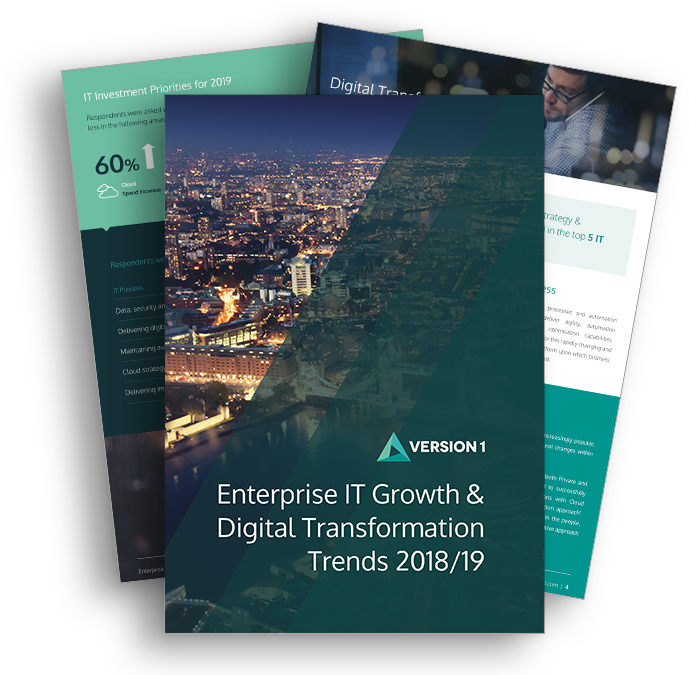 It aims to explain the common misunderstandings and challenges in this area, and reassure enterprise organisations that Oracle workloads can be moved to Microsoft Azure cloud in an equivalent and cost-effective manner. Version 1 is a leader in Enterprise Cloud services, specialising in migrating and running complex enterprise applications in Public Cloud. With a track record and in-depth experience in Oracle which extends back to Version 1’s inception in 1996, Version 1 works closely with Microsoft to help customers to maximise value while migrating their Oracle estate to Microsoft Azure.